Colip designs and manufactures a wide range of innovative equipment and systems for bakery, pastry and food industry in general. The application of the refrigeration techniques is of great help to optimize all phases of the bread production process (dough mixing, proving, conservation, deep-freezing). 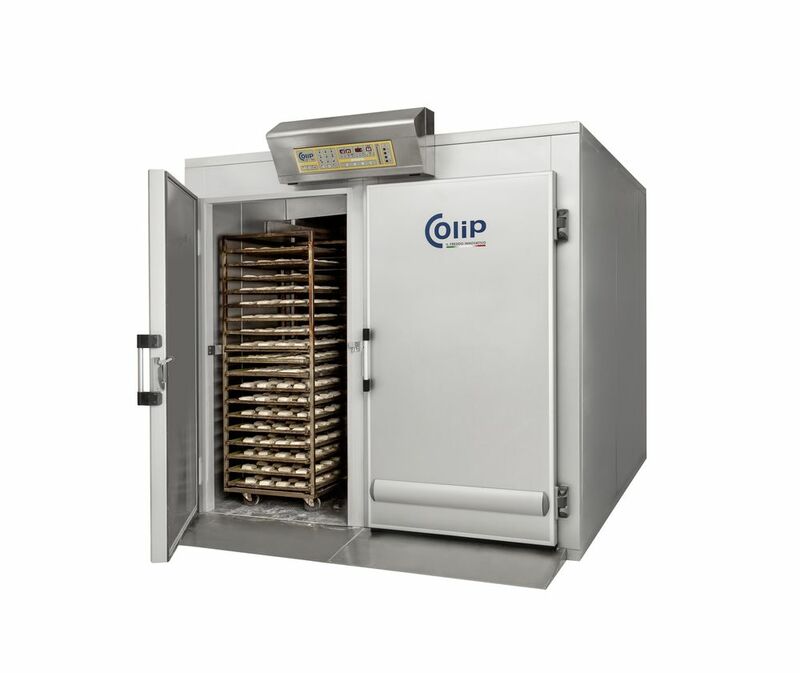 Maturpan chambers with Micro C10 1.5 control panels or PRO-10TS touch-screen, monitor the bread proving process by controlling the time, temperature and humidity in the various phases (stop, conservation, reactivation of the proving process and conservation of the product redy for baking). The programs can be customised according to specific production and product requirements. The PRO-10 TS panel with router allows the supervision of the machine via PC, smartphone and tablet, and provides access to the on-line assistance service. The chambers are built with prefabricated panels, insulated with polyurethane foam injected at high density. Special units and evaporators allow to reach the required efficiency while saving energy.